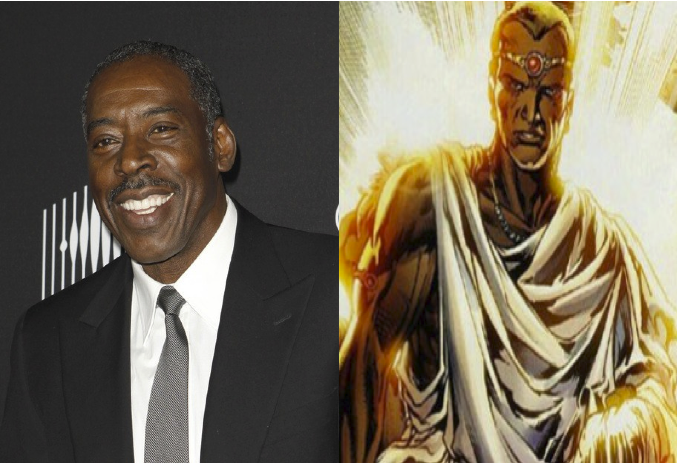 Ernie Hudson Sought To Play Black Panther's Father? Black Panther won't be coming our way till 2018, due to Spider-Man's first foray in the Marvel Cinematic Universe knocking it from it's original 2017 release date, but with Chadwick Boseman donning the panther mask, alter ego of Prince T'Challa of the technology advanced African nation of Wakanda, for a big role in Captain America: Civil War, rumours are circulating about casting of his supporting cast, namely his father King T'Chaka. We've heard rumblings that Civil War will travel to Wakanda, possibly as part T'Challa's origin story, and now Latino Review are reporting that Winston Zedemore himself, Ernie Hudson, is in line to play the role of his father, citing he has been hitting the gym and spotted with back issues of Black Panther comics. This doesn't mean he's locked in for the role, and the rumour is still just that at this stage, but if Marvel really is looking to cast King T'Chaka, it stands to reason that the character will be appearing a lot sooner than 2018. With Captain America: Civil War said to begin shooting in the coming days, we should hear definite word of whether or not the role has being cast very soon. Black Panther is set for release 6th July 2018. The Movie Bit: Ernie Hudson Sought To Play Black Panther's Father?